The SEALS are coming... If you can't get enough of Chance Creek, you're in luck. Coming soon is an all-new series from Cora Seton, the SEALs of Chance Creek. Sign up today for a special notification when book 1 in the series, A SEAL's Oath, is available for download. Click here to sign up. 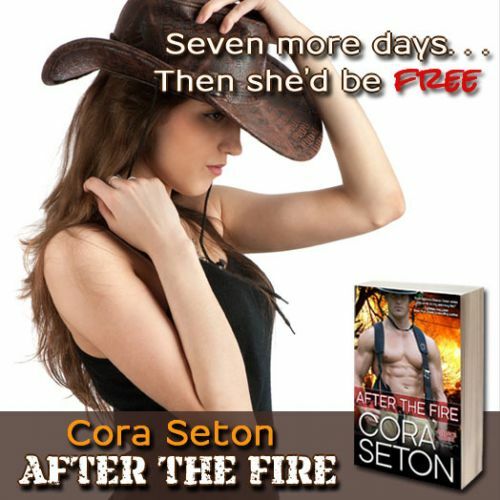 Available Now: After the Fire! Available now for the first time as a standalone novella, After the Fire! When a series of fires keeps bringing him to her door, a firefighter must uncover his ex-girlfriend’s secret or risk losing her forever. Get your copy of this Chance Creek series novella today! Available at Amazon, Barnes & Noble, Google Play, iBooks, and Kobo.